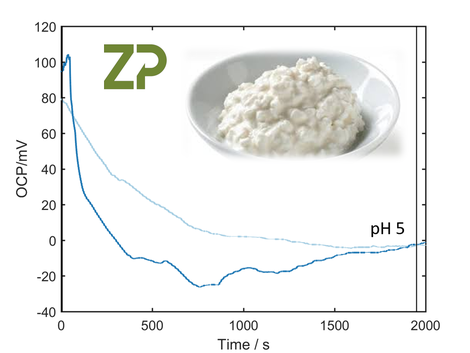 This week Zimmer and Peacock were asked to measure the pH of cheese, and though a first for us we were able to do it using one of our disposable screen-printed pH sensors. At Zimmer and Peacock we manufacture a number of sensors, including: glucose, lactate, sodium, potassium, pH, oxygen, chilli hotness, garlic pungency etc. If you are looking for a sensor and it is not on our list please feel free to contact us, of if you have any questions regarding our standard sensors don't hesitate to drop us a line.